Boutique of Quality Books, 9781945448225, 375pp. 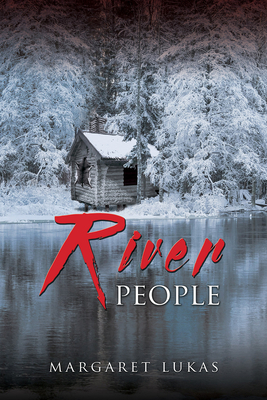 River People is a powerful novel with unforgettable characters. In Nebraska in the late 1890s, seventeen-year-old Effie and eleven-year-old Bridget must struggle to endure at a time when women and children have few rights and society looks upon domestic abuse as a private, family matter. The story is told through the eyes of the girls as they learn to survive under grueling circumstances. River People is a novel of inspiration, love, loss, and renewal. Margaret Lukas taught writing for several years at the University of Nebraska. Her award-winning short story "The Yellow Bird" was made into a short film by Smiling Toad Productions in Canada and premiered at the Cannes Film Festival. Her work has been published in anthologies, magazines, and online. Her first novel, Farthest House, received a Nebraska Arts Council Fellowship Award. She lives in Omaha with her husband.